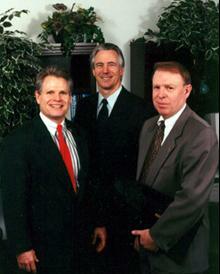 Dempsey, Roberts & Smith, Ltd. is a full service firm capable of meeting its clients' legal needs. Dempsey, Roberts & Smith, Ltd. is a dynamic, growing firm that still believes that clients deserve personal attention, compassion, and quality services, timely rendered. Service to clients is all important. To that end, the Firm employs current technology and state-of-the-art communications equipment to allow lawyers to provide prompt attention to each matter. Our attorneys strive to provide timely, practical advice and solutions for clients. To better serve our clients, the Firm employs both attorneys and support staff who are fluent in Spanish. Timely service and quality advice are hallmarks of a full-service law firm. At Dempsey, Roberts & Smith, Ltd. our goal is to provide each client with those benefits while at the same time remaining sensitive to the client's needs as an individual. Dempsey, Roberts & Smith, Ltd. can assist you with a wide variety of legal services. Neither the State Bar of Nevada nor any agency of the State Bar has certified any lawyer identified here as a specialist or as an expert. Anyone considering a lawyer should independently investigate the lawyer's credentials and ability. This site is intended for Nevada residents and those with legal issues arising under the jurisdiction of the State of Nevada. Further communication with an attorney through the web site and e-mail may not be considered as confidential or privileged. This site does not give legal advice or create an attorney-client relationship.